BROSSARD (Broussard), dit Beausoleil, JOSEPH, settler, member of the militia; b. 1702 at Port-Royal (Annapolis Royal, N.S. 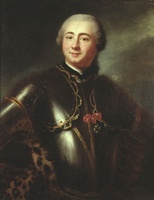 ), son of Jean-François Brossard* and Catherine Richard; d. 1765 in Louisiana. Joseph Brossard is still revered today, particularly by the Acadians in Louisiana where he has become a legendary figure, for his bravery as leader of the resistance of the Acadians in the upper reaches of the Petitcodiac River at the time of the deportation. It must, however, be noted that not all of his exploits are recorded in the archives. In September 1725, at Annapolis Royal, Brossard married Agnès, the daughter of Michel Thibodeau (Tibaudeau) and Agnès Dugas. Some years later he went to settle at Chipoudy (Shepody, N.B. ), with his brother Alexandre. In this period Joseph was twice brought before the council of Annapolis. In 1724 he was accused of having treated an Acadian roughly, and in 1726 of being the father of an illegitimate child. Although he denied the latter accusation, he was imprisoned for some time for refusing to provide for the child’s maintenance. Brossard settled at Le Cran (Stoney Creek, south of Moncton, N.B.) about 1740. 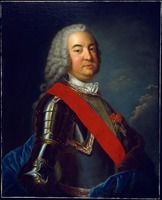 At the time of the battle of Minas at the beginning of 1747, Brossard gave assistance to Nicolas-Antoine Coulon de Villiers’s troops. On 21 October William Shirley, governor of Massachusetts, outlawed Brossard and 11 others for having provisioned the French troops. In June 1755 the British, who were disputing possession of the Chignecto isthmus with the French, laid siege to Fort Beauséjour (near Sackville, N.B.). Brossard engaged in some skirmishes against the invaders and, in one outing, captured a British officer. In relating this incident the French officer Louis-Thomas Jacau* de Fiedmont testified that Brossard was recognized to be one of the bravest and most enterprising of the Acadians. On 16 June, the very day the fort capitulated, he was so bold as to attack the British camp with 60 men, French and Indians; he lost only one man. Two days later, provided with a safe conduct, he went to see Colonel Robert Monckton* for he proposed acting as mediator between the British and Indians on condition that he be granted an amnesty. 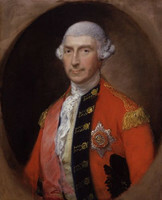 Monckton agreed to this arrangement, subject, however, to Charles Lawrence’s approval. Brossard and his family probably took to the woods at the time of the deportation of the Acadians. It is possible that he joined forces with Charles Deschamps* de Boishébert, along with the other heads of families in the region, to resist a British detachment which had come to devastate Chipoudy and Petitcodiac in September 1755. Shortly afterwards, Brossard, under orders from Governor Pierre de Rigaud* de Vaudreuil, fitted out a small privateer and was successful in capturing some prizes in the Bay of Fundy. Aided by his four sons and the Acadians who had taken refuge along the Petitcodiac River, he continued to harass the British forces. It was perhaps during an encounter with the troops commanded by George Scott which had come to lay waste the Petitcodiac region in November 1758 that he was wounded in the foot and obliged to go for a time to the other side of the Miramichi River. A few Acadians were still resisting the British authorities in 1761 after the fall of Quebec and Louisbourg, Cape Breton Island. William Forster, a British colonel, wrote to General Jeffery Amherst* in August 1761: “These people are Spirited up in their obstinacy by one BeauSoleil . . . and one or two others who have already rendered themselves so obnoxious to the English that they are conscious of the treatment they deserve at our hands.” Brossard was reduced to a state of famine by November, and had no recourse but to surrender, along with a group of settlers, to Colonel Joseph Frye, the commandant of Fort Cumberland (formerly Fort Beauséjour). In October of the following year Brossard and his family were among the prisoners held in Fort Edward (Windsor, N.S.). Subsequently, they were sent to Halifax where they were confined until the treaty of Paris in 1763. Later in the year Brossard was arrested at Pisiquid (Windsor) and found to be in possession of a letter written by the ambassador of France in London in which the Acadians were urged to leave and go to France. Brought once more before the governor’s council in Halifax, he was not released until the following year; it was then, it seems, that he chartered a schooner to sail to Saint-Domingue (Hispaniola) with some other Acadians. The climate overcame many of them, and Brossard is believed to have taken the survivors to Louisiana at the beginning of 1765. On 8 April 1765, in New Orleans, Charles-Philippe Aubry, the commandant of Louisiana, appointed Joseph Brossard captain of the militia and commandant of the Acadians in the region of the Attackapas, which included the parishes of Saint-Landry, Saint-Martin, and Lafayette. He died a few months later and was buried on 20 October at Beausoleil, near the site of the present-day town of Broussard, a few miles south of Lafayette. PAC, MG 9, B8, 24 (Registres de Saint-Jean-Baptiste du Port-Royal) (original of the volume for 1702–28 is at PANS and that for 1727–55 is at the Diocesan Archives, Yarmouth, N.S. ), pt.i, p.222. [L.-T. Jacau de Fiedmont], The siege of Beauséjour in 1755; a journal of the attack on Beauséjour, written by Jacau de Fiedmont . . . , ed. 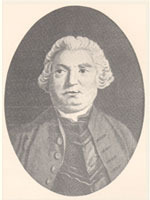 J. C. Webster (N.B. Museum, Historical Studies, no.1, Saint John, 1936), 41. Knox, Historical journal (Doughty), I, app., 3–4. Mémoires sur le Canada, depuis 1749 jusqu’à 1760. Northcliffe coll. N.S. Archives, III. “Les papiers Amherst,” La Société historique acadienne (Moncton), 27e cahier (1970), 304, 307. Arsenault, Hist. et généal. des Acadiens. Antoine Bernard, Histoire de la Louisiane de ses origines à nos jours (Québec, ), 157, 158, 410. D. J. Le Blanc, The true story of the Acadians . . . ([Lafayette, La,] 1932), 65–67. Murdoch, History of Nova-Scotia, II, 117, 314, 431. J. C. Webster, The forts of Chignecto; a study of the eighteenth century conflict between France and Great Britain in Acadia (n.p., 1930), 55, 71, 87, 113. C. J. d’Entremont, “BROSSARD, Beausoleil, JOSEPH,” in Dictionary of Canadian Biography, vol. 3, University of Toronto/Université Laval, 2003–, accessed April 20, 2019, http://www.biographi.ca/en/bio/brossard_joseph_3E.html.